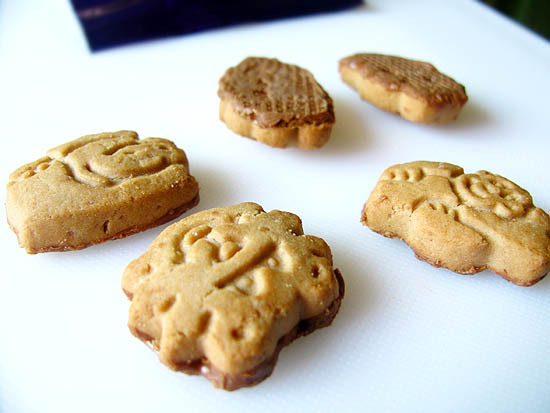 have you ever seen an animal biscuits ? would you like to see the photo? * Peel and slice bananas into around 1 inch pieces.But be careful with knife. * Crush the almonds/walnuts (or both) and set aside. * Crush the biscuits and keep these aside in a plate. 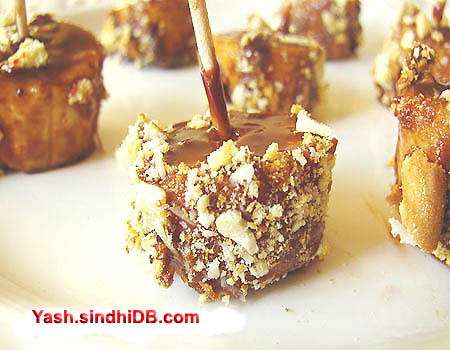 * Now pick each piece of banana with a toothpick, roll it in melted chocolate till it is covered with heavenly brown layer , roll it in crushed biscuits, then roll it again (lots of rolling going on..hmmmm) on the bed of crushed dry fruits. Don’t worry about the mess..Moms know best how to clear it..No?. * Chill the brown delights in refrigerator for some time.